T5 HO Ultra Sun® Super Daylight | Zoo Med Laboratories, Inc.
6,500K High-Intensity super daylight lamp brings out the full colors of your fish, plants, corals, and invertebrates. T5 lights provide more light output than T8s! 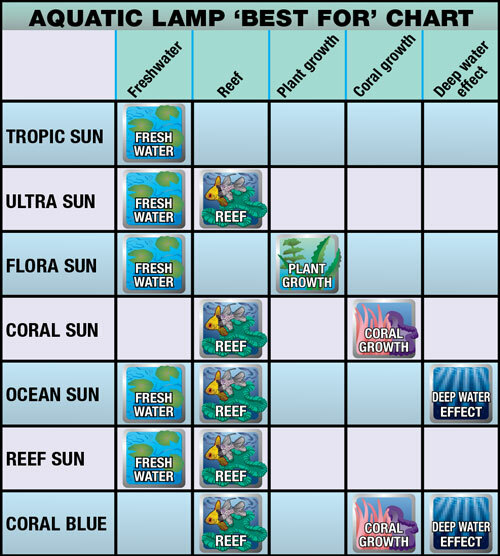 Ideal for all marine aquariums, reef tanks, and fresh water aquariums where maximum daylight simulation is required. Combine with Zoo Med’s Flora Sun® for maximum plant growth. Combine with Zoo Med’s Coral Sun® for all live coral invertebrate reef tanks.